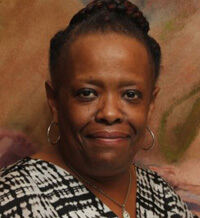 Muriel Warren is the Administrative Coordinator at the National Collaborative for Health Equity. In this role, Ms. Warren supports the Executive Director and Senior Staff and is responsible for coordinating the day-to-day administrative tasks of the organization. Ms. Warren is a graduate of Spingarn Senior High School in Washington, D.C. and has over 25 years of Administrative and Executive Administrative experience.